I'm sorry about your computer issue. Is it able to go to Safe mode (press key F8 after turning on the computer)? ill go check- sorry its in another room so this could be fun!! That's okay. You can start over by doing the following: Please turn off the Lenovo laptop, but don't turn it back on, but press the OneKey rescue button on the laptop's keyboard in order to do a factory restore. 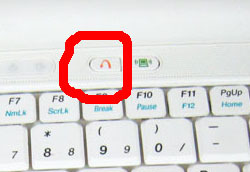 ok. which key is that? What's your antivirus, like mcafee, norton, etc.? Don't worry, after it's done, we can reinstall your purchased antivirus program. it has 3 options on screen one key anti virus, system set up and one key recovery ( or exit also)- which one should i press ? That looks correct. It should go through the process to reset the computer to original factory settings; it can take a while; just let me know when it asks you something. ok well its done all that and back to normal screen.ive done the setup stuff...ie- english, time etc. it has the same old icons on the screen i think. should i get him to try minecraft?? we have installed but it just keeps coming up minecraft needs java....will have to keep playing with that. the antivirus says windows and the anti spyware says mcafee. im sure i paid for regpro or something like that. does that sound right? go to java.com website to update. yes looks good thanks. what about purchased anti virus. will that still be there somewhere?? What antivirus did you purchase, like mcafee, norton, etc.? ok thanks a lot for your help. all appears to be good.